First Line: Grandpa Ned always said our quiet little country community in northeast Texas was like a stock pond, calm and smooth on the surface so there's not much to look at, but full of life and death down below. It's 1968, and the residents of little Center Springs, Texas assume that their lives have finally quieted down. But you know what happens when you assume. A decades-long feud between two local families-- the Clays and the Mayfields-- is flaring up again. Fourteen-year-old Top Parker lives with his grandparents, Constable Ned Parker and Miss Becky, in a farmhouse near the Red River-- not far away from the single car accident that claims the lives of the white mayor of Chisum and his black female assistant. Since the two dead people are members of the Clay and Mayfield families, that's all it takes to light a powder keg of hatred and vengeance. With the entire situation complicated by a mysterious man calling himself the Wraith and with Sheriff Cody Parker looking like a suspect in what's going on, Cody takes the advice of Deputy John Washington and removes himself from the investigation. Now Washington and Deputy Anna Sloan have to unravel a nest of clues, facts, and misconceptions to catch a killer before anyone else dies. Author Reavis Wortham has created a world that seems so different from the 1960s that I grew up in, but it really isn't once I stop looking back with the eyes of a child. What makes Center Springs such a fascinating setting is that the town seems to have had the good fortune to put people with common sense (and common decency) in positions of authority-- like Top's grandfather, Constable Ned Parker. Although racism and bigotry can be seen everywhere, Center Springs is at the forefront of both civil and equal rights. Despite what the local bigots think, black Deputy John Washington is regarded with respect by most even though he's had to walk a fine line his entire life. Center Springs also has a female deputy who's proved her worth time and again. See? Typical, yet not typical at all. But it's not just the police force that shines in this small community. I've watched Top and his cousin Pepper from book one, The Rock Hole. Life has thrown some horrible things in their path, but they're being allowed to be typical kids-- which is when most of the laugh-out-loud funny scenes occur. Yes indeed, Wortham's characters make his books shine because they are complex. They grow. They change. They can mellow (like Pepper is, thank heavens), and they can surprise. 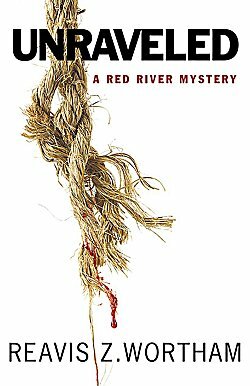 Wortham's Red River mysteries work on so many different levels. As a coming of age story. As a pitch-perfect historical saga. As a police procedural. As visceral action tales. (And humor, too!) I have come to rely upon this author to present me with fine tales well told, and I have no intentions of missing a single one. You shouldn't either. So glad to hear that this one features decent people at the helm, so to speak, Cathy. Of course there are crooked law enforcement people and politicians and so on in real life and in fiction. But I sometimes think it's easy to forget that a great story can also have decent people in it. There are crooked cops and politicians in this series, too, but not in Center Springs. Your reviews introduced me to this series. There have been some very memorable reads in this series. I mentioned that once before in a comment. I am several books behind but have one on my Kindle to read. This is a must read series for me. I just want to add that I finally read Funeral Food by Kathleen Taylor and then downloaded the next three books in the series. It was your reviews again that introduced me to Tory Bauer. I enjoyed the book very much. Thank you for your reviews. Right now I am reading Breathing Water by Timothy Hallinan. Again found this author through you reviews. You've made me very happy today in letting me know how many of my favorite authors I've introduced you to. Thank you, Lynn!